Vydehi Institute of Nursing Sciences and Research Centre has celebrated world breast feeding week, August 1-7,2015. M.sc(n) 1 year,Bsc(n) 3 rdyear students,P.c.B.SC(N) 1year,participated for this programme. 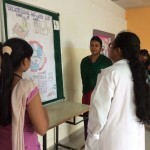 On Aug-03 workshop was conducted by M.S.Ramaiah Medical College and Hospital. Students from vydehi attended the workshop. On Aug-04 Quiz was conducted in vins& Rc. 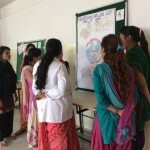 On Aug 6thHealth education programme was organized in Antenatal ward at vydehi hospital. Role play and video assisted teaching was given in kannada and hindi.On Aug7 th Health education programme was organized in anganwadi centre,kannamangala. 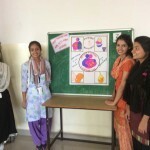 On Aug 8thPoster presentation was done in vydehi nursing college which was judged by Dr. Subramaniyam Associate professor,Dept of paediatricVIMS&RC,Prof.Padmapriya,VINS&RC.There was report presentation on breast feeding week in vins&rc on 14.08.15.